East Grinstead’s Queen Victoria Hospital NHS Foundation Trust (QVH) is one of the world’s leading specialist centres for reconstructive surgery, and expert therapy and rehabilitation services. It serves people across the South of England who have experienced damage or disfigurement as a result of disease, trauma, burns, major surgery or a congenital condition, such as cleft lip or palate. Burns patients who had the potential to be treated at their local hospital were often sent to QVH for review. In such cases treatment could be delayed by several hours, and patients would be involved in unnecessary travel (particularly if QVH’s services were not suitable for the patient). QVH consultants and specialists could also be diverted from other urgent cases that were more suited to QVH’s highly specialised capabilities. QVH ran a client based telemedicine service from 1999 and moved to a simple web based service in 2009. In 2012, the trust recognised that technology, in particular web based services, had moved on and that the Internet had become freely available to all hospitals across the NHS. With adoption of the latest technologies, the trust hoped it could enhance service and roll it out further by adopting newer technology. Ballard Chalmers is a Microsoft Gold Partner, and highly experienced in developing custom software for public sector organisations. Initially, Ballard Chalmers’ consultants were brought in to work closely with QVH to scope out the design and objectives of a new application that would allow their specialists to review cases remotely online, ensuring that patients would be transferred to the appropriate hospital service, allowing a swifter triage and ensuring patients were treated as quickly as possible by the right specialist. Following intensive evaluations, QVH contracted Ballard Chalmers for the full design, development and implementation of the new solution – Telemedicine Referral Images Portal System (TRIPS). Built within a SharePoint environment using .NET custom development, using Standard SharePoint CAL licenses, TRIPS technology provides QVH with a secure (encrypted) transfer of digital images of injuries, enabling hospitals and paramedics to directly consult with clinicians at one of the five hubs on patient injuries and trauma at any time of day or night, regardless of where in the region the patient is located. TRIPS was an immediate success within QVH. Its roll out was further accelerated by the involvement of the London and South East of England Burn Network (LSEBN), who recognised that this technology contributed substantially to its own objectives. The LSEBN provides the framework for a coordinated approach to burns care in London and the South East and the decision was taken to implement TRIPS in other hospitals. As such, clinicians across London and the South East use the platform to expedite patient care. Patients can be immediately referred to one of five hospitals in the south east of England: QVH, Broomfield Hospital (Chelmsford), Chelsea and Westminster Hospital, St Georges Hospital (Tooting), and Stoke Mandeville Hospital (Aylesbury) and specialised clinicians within each of these five hubs are able to interact with approximately 200 hospital emergency departments and over 22 million potential patients. The system is hosted within the QVH domain but in future, hubs and other hospitals could have their own deployment. Potentially each one could be hosted on a separate SharePoint farm at the individual hospital, or alternatively they could be hosted on the SharePoint farm at QVH in a separate site collection and database. As well as providing scalability and resilience, the system is easy to maintain and requires little additional investment in IT. QVH’s partnership with Ballard Chalmers has been highly successful and continues today. There have been over 75,000 referrals via TRIPS since 2012 to the end of May 2017 – there is no dispute that the technology has helped to save lives and reduce undue suffering. TRIPS has streamlined the way in which clinicians, across the TRIPS catchment area, interact with other hospital departments, averting unsuitable patients from making the unnecessary journey to a specialist centre, saving time and ensuring that the hospitals are ready to receive and treat patients efficiently and effectively. As of 2017 there are 181 units registered to send images via TRIPS but anyone in the NHS can use the system by adding their own unit name. Currently, the TRIPS website receives over 21,000 referrals per year. Images are received from fixed locations in A&E, Urgent Care centres, walk-in centres, GP Practices, District Nurse Clinics and Minor Injury Units across the whole of the South East of England region. In addition, paramedic practitioner teams provided by South East Coast Ambulance Service are able to send images and receive clinical advice from the scene of an incident including a patient’s home, possibly reducing the need to transfer the patient to an A&E for assessment and then transfer to QVH for definitive treatment. This can save time, effort and distress as some injuries can be treated at the scene without the patient being taken from their home. Their treatment can then be followed up by their GP, district nurse or Tissue Viability Nurses. In 2008 the service won the regional Innovation and Communications Technology Award and the TRIPS was also chosen to form part of the Institute of Engineering & Technology’s 2008 Faraday Lecture on the overall theme of engineering in health and has been included in a documentary. In 2013 Ballard Chalmers’ development of TRIPS was recognised by Microsoft as its Partner Solution of the Week. The recognition stated that the system “eases communication, is scalable, easy to maintain and maximises utilisation of the hospital’s vital resources”. In 2016 the implementation of TRIPS by LSEBN was shortlisted by the Health Service Journal, Value in Healthcare Awards in the Telehealth category. 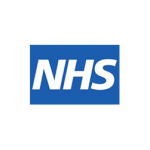 These awards recognise and reward outstanding efficiency and improvement by the NHS.